Eyewitness: the series all the web is talking about | TV Tips – Which tv Series should I watch next? Eyewitness: the series all the web is talking about – TV Tips – Which tv Series should I watch next? “I don’t want to be that guy. My father doesn’t want me to be that guy. Lukas is a teenager born and raised in Tivoli, a small town in the outback a few miles away from New York City. He lost his mother when he was just six years old and grew up with his father, a rigid uncommunicative man who doesn’t get along with modern times. Lukas is passionated about motocross and lingers a lot on social networks. He also occasionally spends time with his girlfriend Rose, the prettiest girl of his school. The major part of his free time is actually dedicated to Philip, a same aged boy who just came in town. Philip comes from a difficult familiar context and he is fostered by the Tivoli sheriff’s family. Philip’s natural mother is drug addicted and never really coming to a rehab success. She is moved from a rehab center to another, and despite a solid and deep relationship with her son, she has never been able to care for him. The two boys are nothing but dissimilar: Lukas is spoiled, a selfish narcissist, conversely Philip is introvert, shy and very sensitive. But what really makes them different is how they cope with their homosexuality. Philip has already accepted his feeling and lives them in harmony, both he’s foster family and his mother know, in that he came out. Lukas turns his feelings toward Philip down, he is bemused by people and society judgement. The boy begins a slow self-acceptance process while facing all the adversities of a small and retrograde community. Chats and gossip in his school bother him, while his love feelings float up and down. Under the social mask he wears, behind the beating of Philip he performs in fronts of his crew to pretend he his a dull homophobic bully, Lukas knows that he could hardly escape his feelings. Even trying to make love with Rose won’t help, while he let Philip record the act (the video is later shared around the school to confirm Luka’s sexuality and silence the gossip about the two boys close friendship). Lukas won’t succeed in strenuously denying his nature, what he feels is a first true love, passion and deep affection. All of this will eventually explode. The self-acceptance process of a teenager like many others has to face an unusual problematic environment when a row of horrible and unexpected homicides upsets the peaceful town of Tivoli. The reason behind this events seems to be a showdown between two gangs fighting for the control of local drug dealing business. The very first of these crimes falls close to Lukas father’s chalet. The two boys are there: they are not only eyewitnesses, but also involved in the assault of one of the two assassins during the flight. The crimes are investigated by FBI and by the local sheriff, Philip’s foster mother. Eyewitness is a remake of a 2015 Norwegian anthological series, namely Øyevitne, created by Jarl Emsell Larsen. Along with the showrunner Adi Hasak (Shades of Blue) he followed the works for this remake as executive producer. Aired on USA Network, the series is directed and co-produced by Catherine Hardwicke, the woman behind Twilight. The vampire’s saga is just one of her successes, we may as well spot her signature on the series recalling other successful works like Thirteen and Lords of Dogtown. Everything is about troubled teenagers and their affairs that are hard to live and to be told. Recurrent close-ups highlight deep looks to instantly reveal powerful feelings, oblique dolly shots come often as well for capturing details in action and movements, the photography is crystal clear and dark and it captures a melancholic setting. 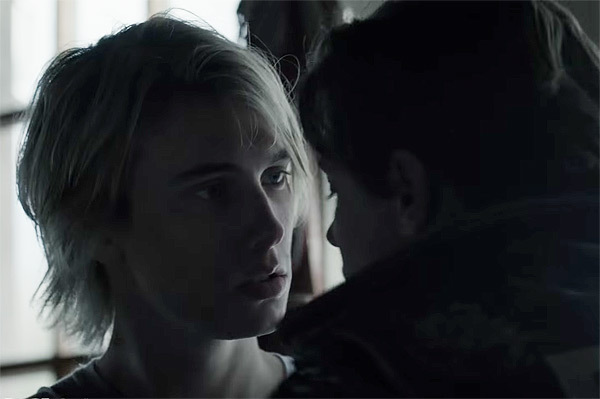 Eyewitness takes all of this to a pinnacle, especially what regards tones: colors are cold, dull and dark as to recall the Nordic origins of the series. The fall is never-ending and it covers the environment, the clothes and the feelings of te characters. Tivoli is ruled by melancholy. Eyewitness is a unusual drama that endeavors to make something new of the crime genre, a long time sluggish genre. The unconventional love story between Lukas and Philip comes as useful resource to avoid the boring feelings that lately linger around crime stories. The homosexual romance takes the place of a common heterosexual one that usually stars in such TV productions. The crime plot is developed with dedication throughout the 10 episodes, while the intricate case of corruption and local underworld businesses is solved. Nevertheless the love story is firmly held as the focal subject of the plot, the audience is always kept in front of the human face of the events and the related characters’ feelings. There is indeed a mystery that has to be unrevealed, but the relationship between Lucas and Philip is the real reason behind this story. Crime and relationship drama are seamless mixed, the screenplay is bolder and braver than the original series and gazes to contemporary society. Above all the series indulges over teenagers scared of people’s judgment, bullied or shattered by the means of social networks, and the resulting violence that runs across the school. The series didn’t perform well, around 0.17 (18-49 rating), counting something more than 600K viewers a week. Instead it caused an impressive buzz all over the Internet, namely on the most prominent social networks like Twitter, Facebook, Tumblr and Instagram. The series’ stars themselves are very alive on the social environment. 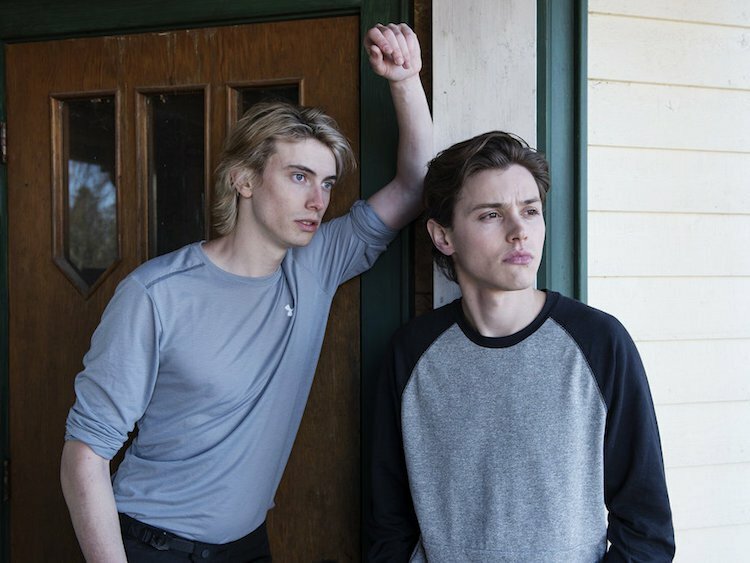 Talented Tyler Young (Philip) and James Paxton (Lukas) are keeping an active conversation with their fans and have joined audience fueled campaign to give the series a second season, despite the low performance. This is an interesting series under many aspects, that bravely tries to take something new in a monotonous genre and that affirms once more, if necessary, the homosexual themes.